06:30 AM Bus pick you up at hotel depart to Sapa . On the half way take rest . 12:30 Am Arrive in Sapa .Lunch at local restautant,after lunch bus transfer to Lao Chai. Stay in the village, enjoy the H’mong local life in Tan van , overnight in homestay. 03h30 Pm Get in the bus back to Ha Noi . 9:30 Pm Arrive at Ha Noi Tour end ./. 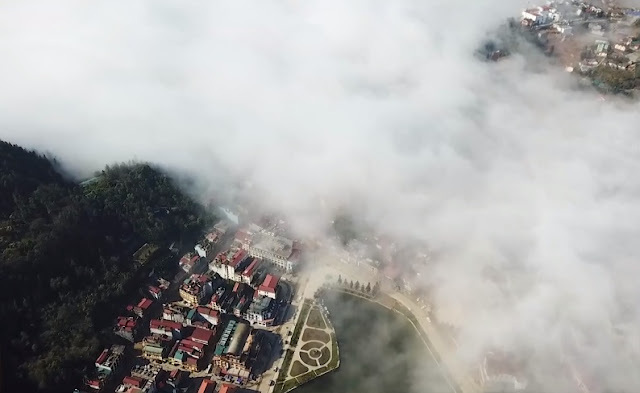 The Love waterfall, 12 km from Sapa town (It has a height of about about 1.800 m above sea level,, and starts from the peak of Fansipan Mountain and rush noisily into the Golden Stream like a never-ending song. Under the waterfall, the Gold Stream runs along with green grass plots and bamboo clusters, forming a poetic image. 06:00 AM : Bus pick you up at Hotel to Sapa .take rest on the half way. 12:30 Am : Arrive in Sapa , relax and lunch at restaurant . 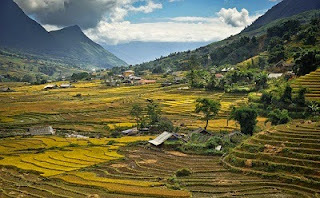 14:00 Am : Bus transfer to Muong Hoa valley to starting trek to villages of the H’mong and the Dzay (Muong Hoa valley, Y Linh Ho, Lao Chai, Ta Van .Enjoy the panorama pictures of the villages among terraces. 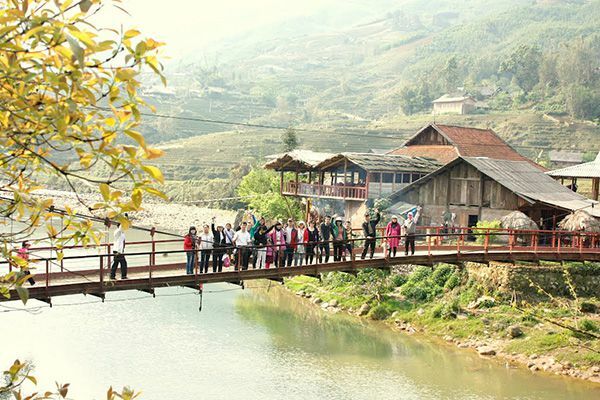 Visit the H'mong living in wooden and bamboo houses. Continue to Ta van village to visit the Dzay minority. Stay the night in Ta van village at a Dzay family. 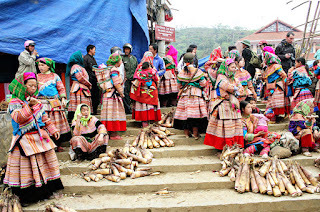 08:00 Am : Get up early in the morning to enjoy the daily life of the ethnic minorities in the village. Have breakfast; trekking to Giang Ta Chai village of the Red Dzao minority via the paths between terrace rice field and through bamboo forests. Picnic lunch on the way.Visit the silver waterfall and the suspension Rattan Bridge, visit the local people in the village and then cross Muong Hoa River up to the mountain to visit the last village of the trekking – Su Pan village of the H'mong people. 09:00 Am : After breakfast, bus pick up to Golden stream and Love water fall, passing by the Silver Waterfall for photos. 11:30 Am Back to sapa town, lunch at the restaurant, free in Sapa town. 03:30 PM Get in the bus to Ha Noi .take dinner by own yourself on the way. Tour end. You can check some info in network, or on Tripadvisor, if Organizer is good review , you should choose it , Or book at travel desk your hotel , you can bargain price with them. 06h00 : Arrive Lao Cai, our guide pick you up and go by car to go to Sapa Welcome to Hotel for Breakfast. 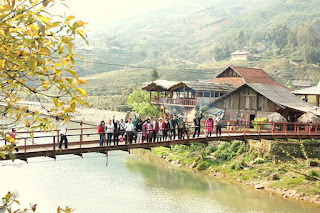 Free going around Sapa town and market or go up Dragon’s jaw mountain. 14h00: Start trekking 3 kms to Cat Cat village. Visit Black H’Mong minority people house, learn how the villagers make their own indigo clothes . Then step down to French existing hidro electric power station beside Cat Cat waterfall. See the music show of minority people. 08h00: trek 6 km to Lao Chai village to visit H’Mong people. Have picnic lunch on the way, then trek 3kms more to Ta Van village. Enjoy beautiful landscape of step – rice paddy fields on the bank of lovely stream, visit school and see the daily life of minority people. 18h30: Have dinner, then you can go to visit some local family, stay in village of Dzay people - Ta Van village. 7h00: Have breakfast then say goodbye to the minority owner. Afternoon: Back to Sapa by van. 16h00: Bus take You to Lao Cai. Have dinner in restaurant befor night train to Hanoi. Then see off.